ES Live 2014, held at Stadium:MK in Milton Keynes, is the must-attend event for all electronics professionals. 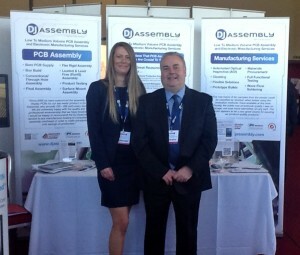 The DJ Assembly team exhibited their PCB Assembly and Manufacturing Services and gave you a chance to explore every aspect of a truly professional service. DJ Assembly would like to express their thanks and appreciation to everyone who visited them at ES Live 2014, they really enjoyed meeting with you. Give DJ Assembly a call today on +(44) 01904 436 456, or email Bill to talk through your requirements. DJ Assembly offer a flexible solution to your electronic manufacturing needs, prototyped and built to the highest standards of quality and at a competitive price. 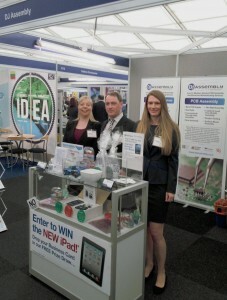 Alternatively, to find out more about the services DJ Assembly offer, please visit the DJ website. This entry was posted in Events on May 27, 2014 by .